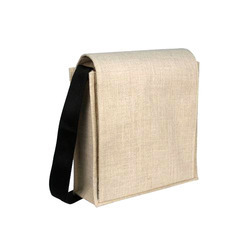 Our range of products include messenger bags. Motivated to attain maximum customer satisfaction, we offer the best quality of Messenger Bags to our valuable patrons. The offered messenger bags are known for its attractive prints, trendy design and smooth finish. Besides this, the best possible quality of the offered messenger bag is maintained at our end. The offered messenger bags can be customized based on sizes, handle type and print details provided by the patrons.